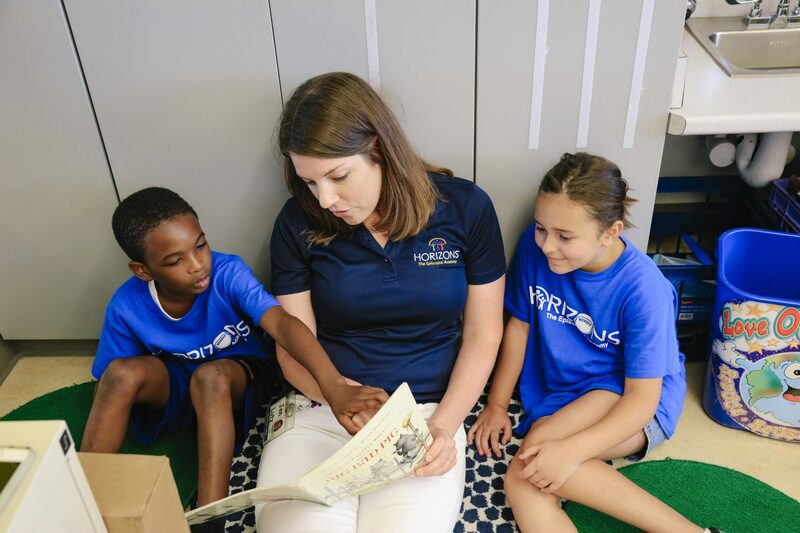 Horizons at Episcopal is closing the achievement gap by providing underserved children access to high-quality academics in an engaging summer program. Today, more than 32 million children living in low-income families face ever greater obstacles to educational opportunity and economic mobility. All children deserve the opportunity to succeed. But it’s harder than ever to find a path out of poverty without a college education or technical training. Summer learning loss is a primary cause of the persistent academic achievement gap. Without programs like Horizons, low-income students experience a substantial and cumulative erosion of reading and math skills that can ultimately leave them years behind their peers. The achievement gap between low-income children and their more affluent peers is already at 6 months by kindergarten and, without intervention, will continue to widen to nearly three years by fifth grade. Summer learning loss is a major contributor to the achievement gap.